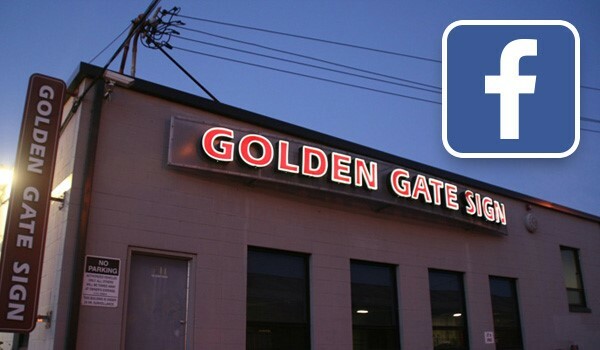 Golden Gate Sign Company is the Bay Area sign company that the area's people trust for efficient sign design, manufacture, installation and servicing. Whether you're trying to promote a small business or a sports stadium, we have the training and the equipment to produce the signage that will suit your exact needs. We employ a Design and Graphics staff who will design a signage model that takes your intent and brand identity into consideration, a trained Fabrication team and experienced Installation personnel. If you're looking for signs in the Bay Area, you can't do better than Golden Gate Sign Company. Please read on to learn more about how our service works, and what we can do for you. In addition to traditional sign design and manufacture, we provide a variety of turnkey services that other sign companies aren't equipped for. Our Process: We provide design, manufacture and installation services, as well as being one of the only Bay Area signs company with extensive repair and maintenance capabilities. Sign Types: Looking for signs in the Bay Area? We produce both traditional and digital signage. Commercial Signs: Golden Gate Sign Company manufactures signs for businesses and properties of all types throughout our service area. Services: Unlike other sign companies, Golden Gate Sign Company also performs printing services. We're equipped for graphic design, logo creation, delivery, file transfer, t-shirt printing, gas station conversion and parking lot lighting. Get in touch with us to be matched with our efficient, professional Bay Area signs services. Fill out our FREE, no-obligation request form or call us with your requirements today.